“Cozy” mysteries are all the rage—or all the lack of rage, since they tend to be about settled, elderly folks solving mysteries in quaint rural communities. Naturally, in such adventures, community theater comes up. 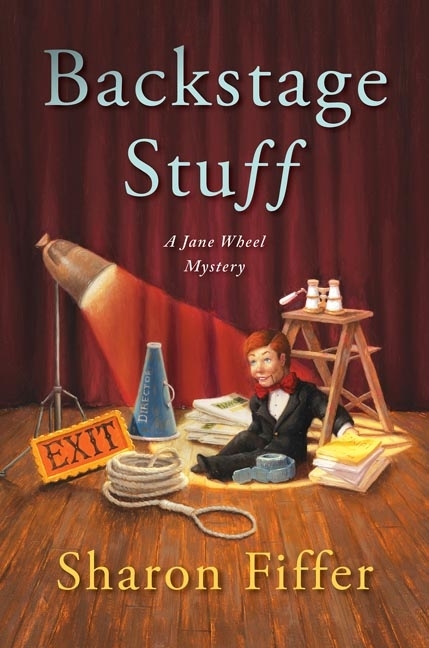 She hates the script, but private investigator and antiques enthusiast Jane Wheel goes to work on a community theater production of a newly discovered—and clearly cursed—old melodrama. One reason she takes the gig—she gets a $500 stipend to design the show and run props. In community theater, that’s big money! The contrivances continue beyond the concept of money as a motivation to do community shows with friends. For an ostensibly light read, there’s an awful lot of explaining and agonizing over the most bizarre theories. Nellie pronounced theater the-a-t0r—long e, long a, long o, and with as much disgust as she could muster. Barbara Allan is the joint pseudonym of married writers Max Allan Collins and Barbara Collins. Both are accomplished novelists in their own right who seem to have special fun writing together. Their 2005 Cold War thriller Bombshell is a pop culture bonanza. 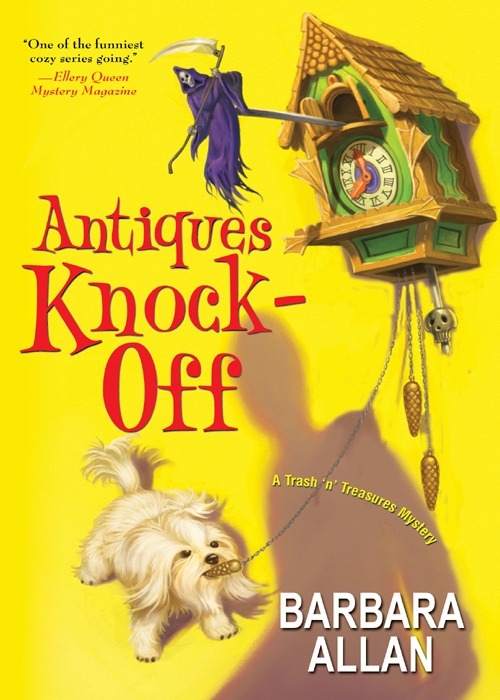 The Collinses throw themselves into the Barbara Allan series with even more glee, merrily interrupting the story with recipes and antiquing tips. The series is hysterically entertaining, and the mystery elements don’t bog down. All my years of preaching to be a “do bee,” not a “don’t bee, had never quite stuck with the girl. Much appreciated. I do a lot of tough stuff and few of those readers are “man enough” to read a so-called cozy. I think the books are funny as hell and apparently you have the good sense to agree. could possibly have used in the absence of the actual methods contributed by you regarding that area. and in addition pray you realize what a great job you happen to be putting in instructing most people using your websites. I know that you haven’t come across any of us.